Navigating finding right lender to originate your home loan can be like finding a needle in a haystack. I felt like I was in a baseball game trying to leave third base and watching the catcher direct me…. only to get halfway to home and be sent back to third again. There was not a single lender in the past two years who would even return a call after I told them my scenario. I honestly somehow felt like somehow I was not being treated like a customer should simply because of my credit score and my past circumstances. A national wave of bankruptcies that began in 2008 reached a peak in the year ending September 2010, when nearly 1.6 million bankruptcies were filed. With there being over 800,000 bankruptcies in 2016 and although the trend is continuing downward since 2010 there are still many borrowers who are in a difficult position when it comes to finding a home loan. I was one of those people who were credit challenged due to a bankruptcy and it had not yet been discharged. I found myself wanting to find a place of my own to call home on the east coast after leaving out west. I was told all sorts of things from friends and family, most of whom said I would have to wait a period of 5 years after the discharge to purchase a home. I could not imagine renting for another 5 years and having nothing to show at the end of that time. Being of German heritage some might say that I am stubborn and so I took it upon myself to search out whether or not I was truly excluded from home ownership after a chapter 13 bankruptcy. After all I had spent the entire past year working to improve my credit score, I was using Lexington Law to remove items off my credit report, I had a secured credit card and I had an account with Self Lender all of which combined helped my credit score go up over 100 points in less than a year. I felt as though I was doing everything in my power to put myself on the right track to home ownership, only to find closed doors. I searched relentlessly for lending options and finding right lender who had no overlays without a discharge on Chapter 13 Bankruptcy as well as with a recent discharge as I knew mine would soon fall into that category. After reading the guidelines for an FHA loan I felt fairly confident that I would not have to wait 5 years like everyone was telling me. I Googled for hours, days and months finding right lender until I ran across an article clarifying the guidelines of FHA products and mentioning something about finding a lender with no overlays. Finding Right Lender To Bring You Home was my mission. No overlays? Bells went off, there was finally a possibility of owning a home again! I clicked the links and ultimately landed on The Gustan Cho Team page. I texted Gustan my scenario with everything being fully disclosed and he said yes we can! Well, to be completely honest he said yes we can, however, we are not currently licensed in Virginia, but once we are, yes being a homeowner is a reality for you! I can not tell you how elated I was to be treated like a valued customer by Gustan Cho, in fact, I had discovered his website on a Sunday afternoon and much to my surprise he had reached out to me by the end of the day. It was such a blessing and I was so inspired by his customer care, professionalism, straightforwardness and the programs his company offered to borrowers like myself I wanted to be on his team! Having been in the mortgage industry in 2000 through the housing bubble in 2008 I had experience and I had enjoyed the profession, but I really wanted to be in the position to help people like myself and to have the ability not only to offer them outstanding customer care and service but to treat them the way every single person deserves to be treated. Nothing will make me happier than seeing people achieve their dreams of home ownership after having had a few challenges in their past. Truly I found a place where I can contribute to helping people get back home! 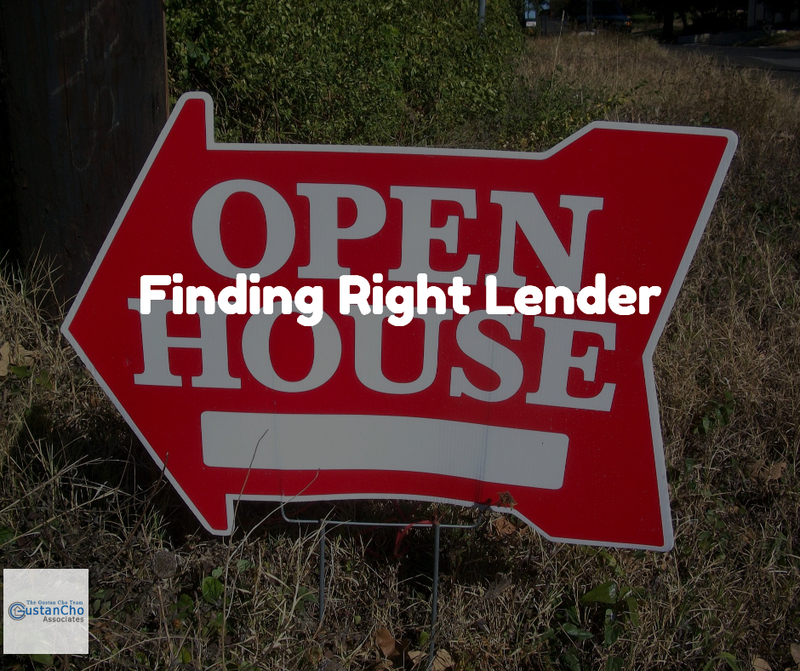 Like to thank Apryl Boyce on this blog on Finding Right Lender. Apryl Boyce is a writer for Gustan Cho Associates. Apryl Boyce, a veteran of the mortgage industry with over a decade of experience in commercial and residential lenders took some time off from the mortgage business after the 2008 Real Estate & Mortgage Meltdown. Apryl missed originating and funding loans and helping families realize the dream of home ownership become a reality so she is in the process of studying to pass the NMLS test and getting licensed in multiple states. Our viewers are looking forward to Apryl Boyce’s many blogs to come in the coming days and weeks. Stay Tuned!! !